An audiologist is a health care professional who diagnoses, evaluates, and treats hearing disorders and communication problems. 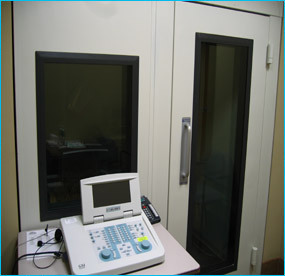 Audiologists use a variety of complex testing equipment and procedures to evaluate an individuals hearing, determine the extent of a hearing loss, identify the location of a hearing loss within the ears and hearing mechanism, and assess an individuals difficulties hearing and communicating in their home, community and work environment. The audiologist may then consider a referral to a physician for medical care or recommend hearing aids or other listening devices to help a person hear in the environment. Additionally, an audiologist may use therapeutic training techniques to enable a person with a hearing loss to learn to listen, hear and engage in conversation more effectively.